Every type of property brings its own set of challenges and obstacles. Knowing this before getting involved will make the process go more smoothly and prepare you better for unexpected hitches. We have a highly motivated team of professionals who have dedicated their career to managing multi-family properties. 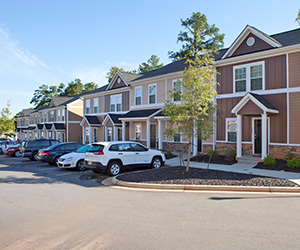 For Multifamily properties, we are proficient in helping you identify market opportunities and ideal tenant profiles. Our top notch marketing campaign targets the specific audience that you would like to fill your property. Often Sherman & Hemstreet will take on a multifamily property that has been abused or mismanaged. We are sensitive to the fact that mismanaged properties are around and have gotten a bad reputation over time. We are experts at fixing these types of problems. Our innovative management processes effectively improve every property, regardless the location, into an investment and great place for people to live. Through data analytics consisting of market surveys, marketing plans, repair evaluations, and vendor/contract shopping, we are able to turn these properties around while cutting costs. If you would like a free property analysis, we would be happy to sit down and talk with you, review your financial statements, and visit at your property. We can very quickly advise you on where your problem areas are. This evaluation is free and often results in owners realizing that their property has been mismanaged for numerous years.